The news this week that GW has an accelerated release schedule for 8th Edition codices is both welcome and frightening. Welcome, in that we’ll see new opportunities for flavour development in both background and rules. But frightening in that I don’t trust them to do the job properly [Read: The Way I Want It]. 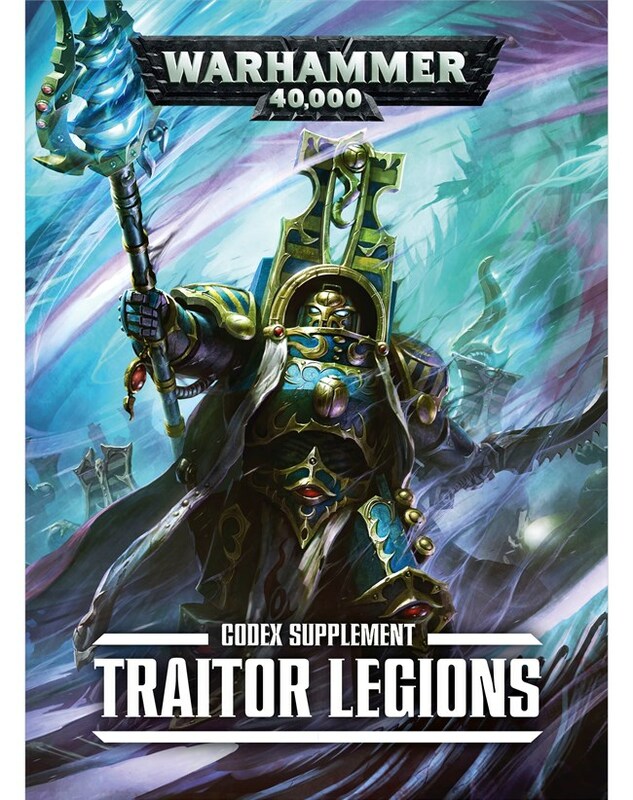 Just over six months ago, GW released Traitor Legions for 7th Edition. This was the long awaited “fix” for Gav Thorpe’s 4th Ed Codex: Chaos Space Marines. Thorpe’s codex was in fact Chaos Renegade Space Marines, a focus never addressed over the subsequent years. Traitor Legions brought the Veterans of the Long War back front and centre. However , for every hit, there was a miss. In retrospect we now know GW’s eye was firmly on the 8th Edition ball and Traitor’s Legion was a stopgap measure – probably to stop whiners like me. The great success of this codex was the uptake by the community and I expect GW clearly saw that there is a ready market for releases around the nine enlighted Legions. Where it missed was that it did not capture the entirety of the 2002-04 Index Astartes articles from White Dwarf and their subsequent development in the 3rd Ed Chaos Space Marine Codex (probably the single biggest selling non-Space Marine codex in their history – four separate printings). So Traitor Legions lacked essential elements like Cult Terminators and their ilk, permissions and restrictions. I expect that a key reason was that GW does not produce a lot of these models – and that being the key determinant for inclusion in the rules. However as we move to standalone codices for individual Traitor Legions, the expectation is that these will be accompanied by new releases. I am therefore very optimistic that we will see Death Guard Terminators and vehicle conversion sprues. However I hope that they also look at some of the restrictions that they could include e.g. reduced Fast Attack, exclusion of Flyers and especially Death Guard bikers, restriction on number of Dedicated Transports, increased capacity for Walkers over Tracked Vehicles, etc. 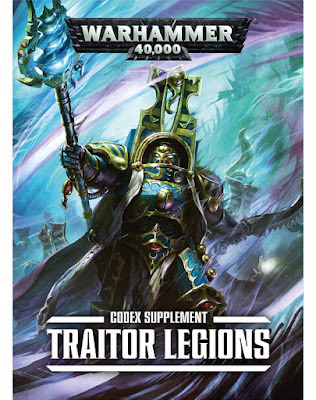 What I’m not optimistic for is the treatment of the other Traitor Legions in the foreshadowed Codex: Chaos Space Marines. My thinking is that this will be another “get you by” effort that perpetuates the Chaos Allsorts legacy. A response to a question on the Warhammer 40000 Community Facebook page said that the CSM codex will include the Emperor’s Children. I asked a follow-up question as to whether this means Noise Weapons on Terminators, Bikers, Havocs and Dreads and to date the crickets have chirped merrily in isolation. My expectation that they will be included is very low at this point.